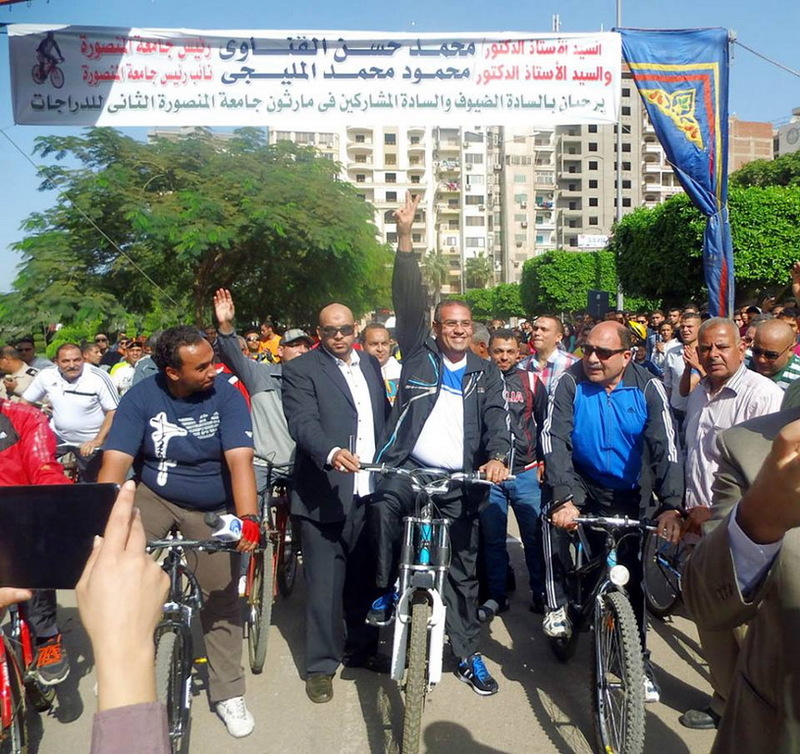 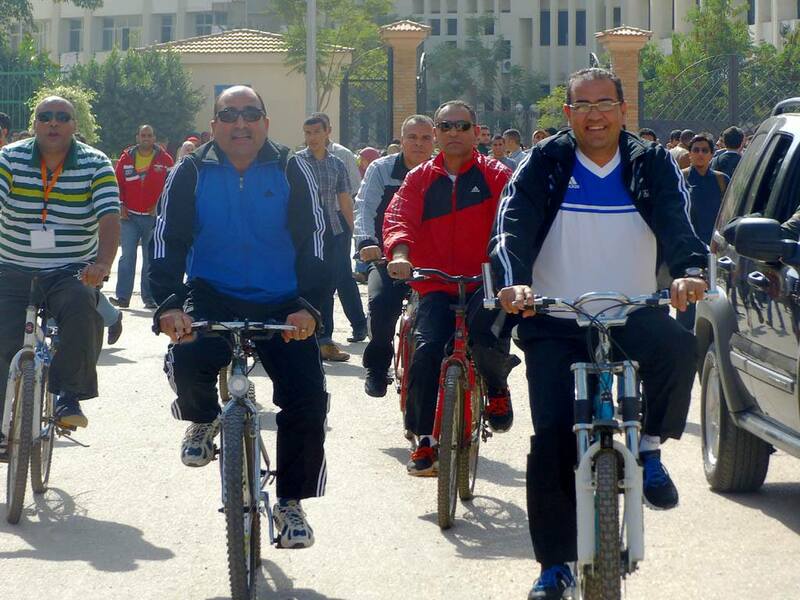 The Second Bike-Marathon at Mansoura University. 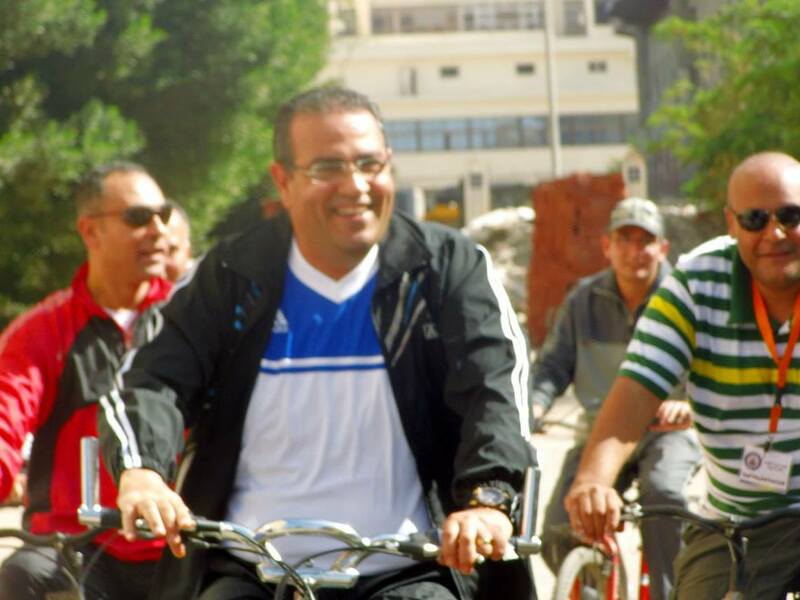 riding bicycles. 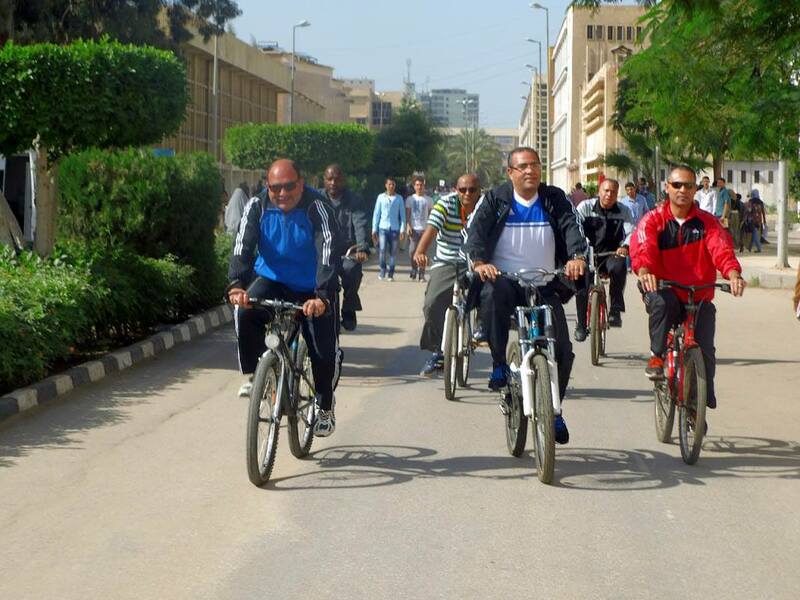 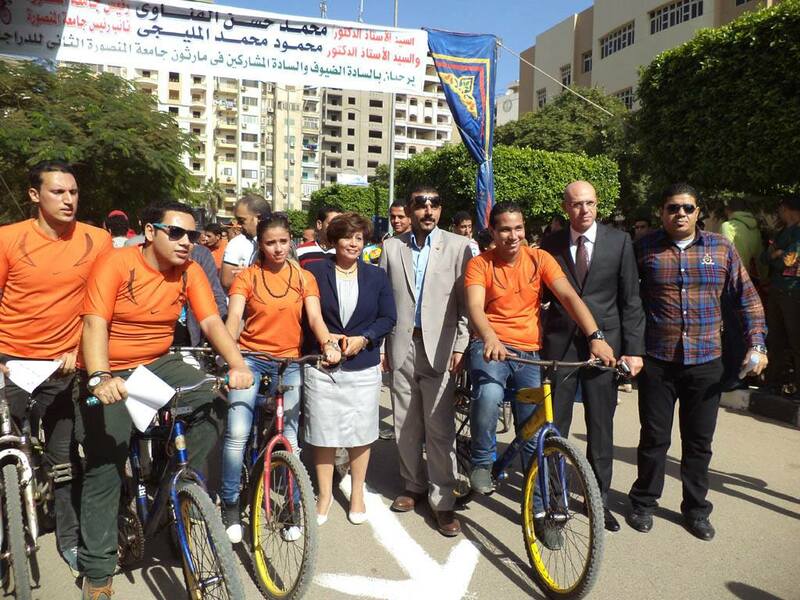 The Governor of Dakahlia, the University President, the University Vice- President for Community Service and Environment Development, and the University Vice –President for Higher Studies and Research attended the opening ceremony of the bike- marathon in which many students, staff- members, and administrators participated. 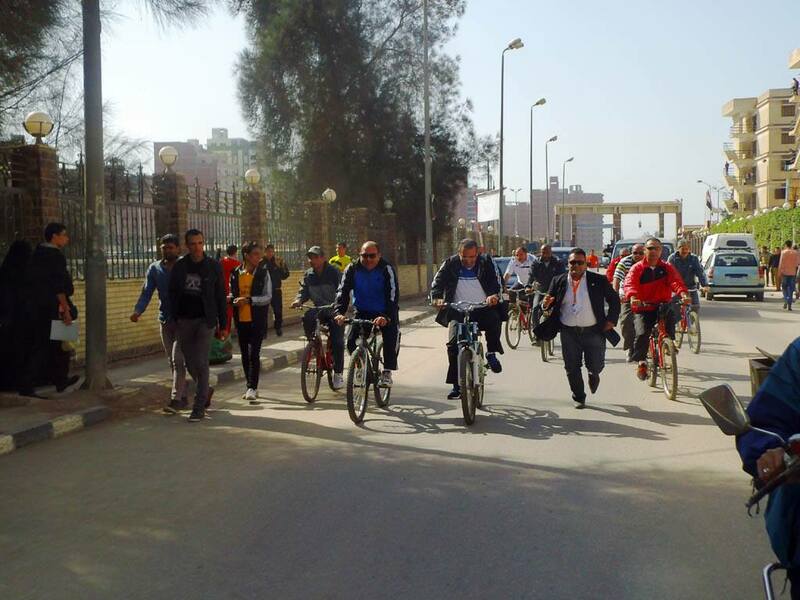 The bike- marathon took its route in and out of the campus. 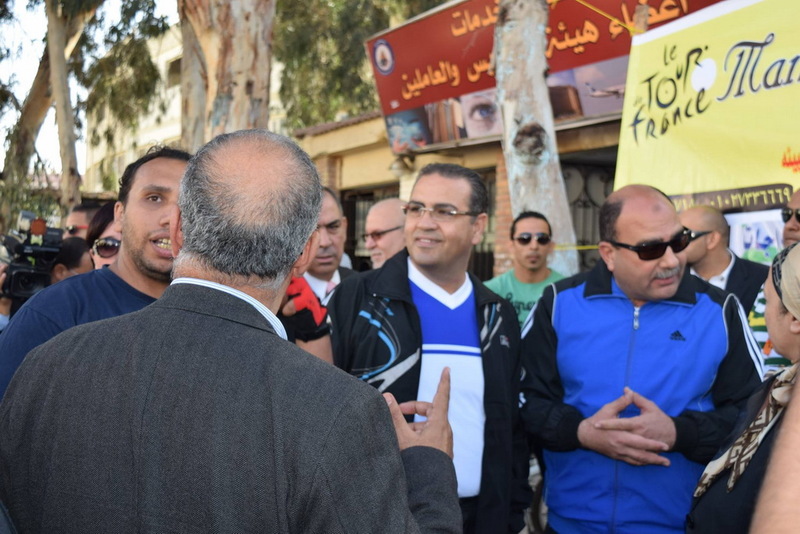 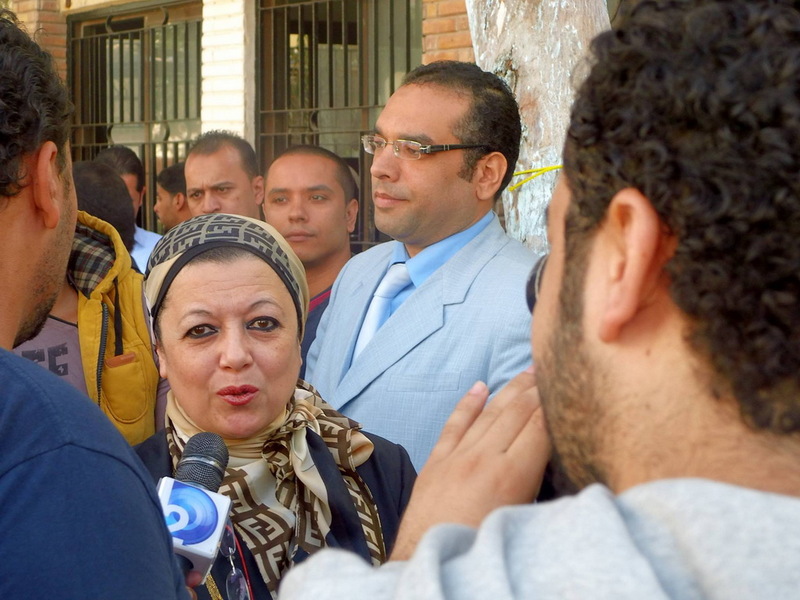 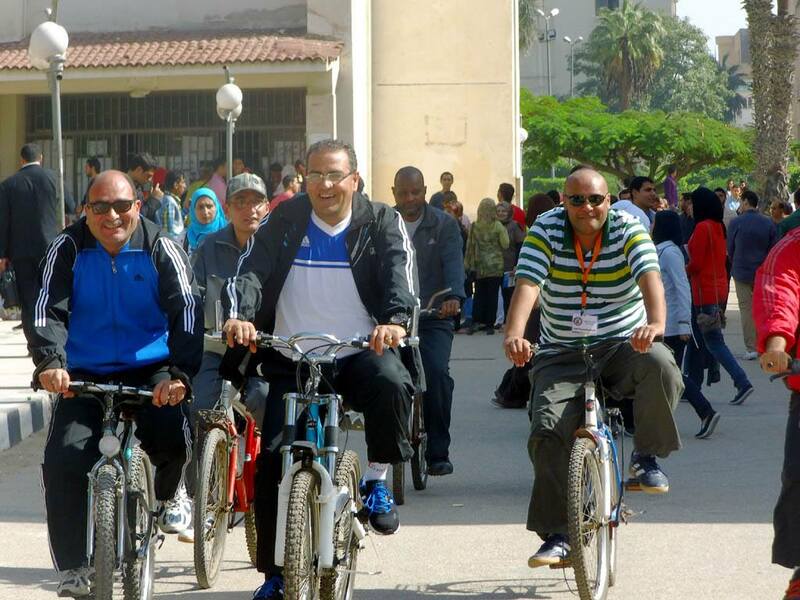 Prior to the start of the bike- marathon, the University President, the Governor of Dakahlia, and the University Vice – Presidents have attended the opening of Mansoura University Fair for low –cost bikes at the Staff- members Service Complex. 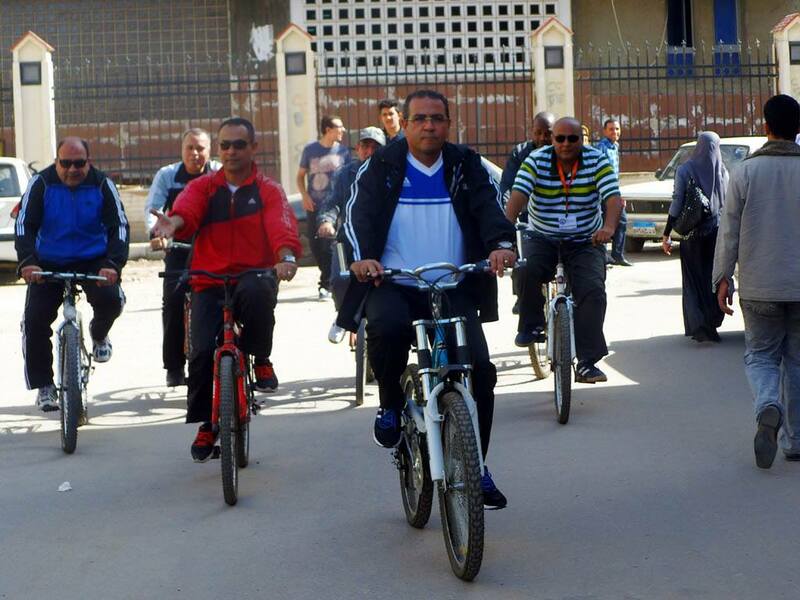 The fair has a wide variety of bikes which prices range between 40- 50 $. 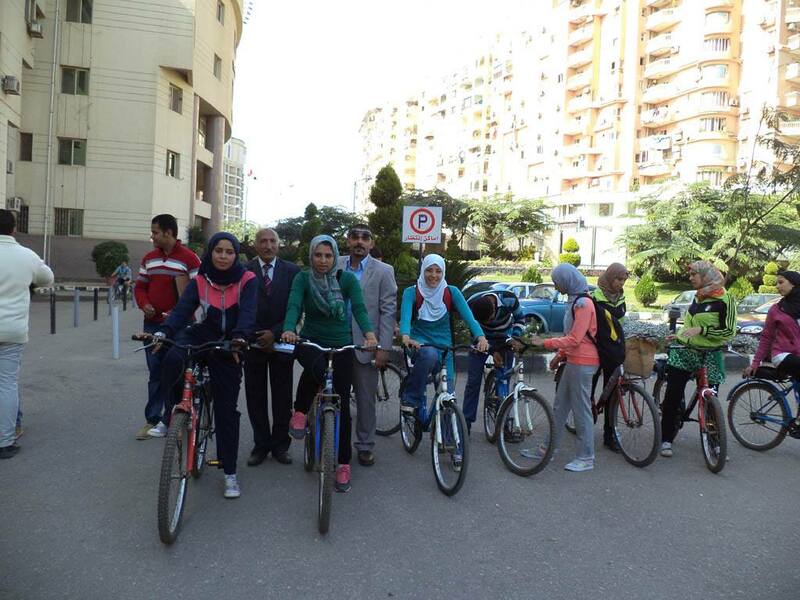 Another supplementary marathon took place, which is the marathon for opening different activities at Mansoura University. 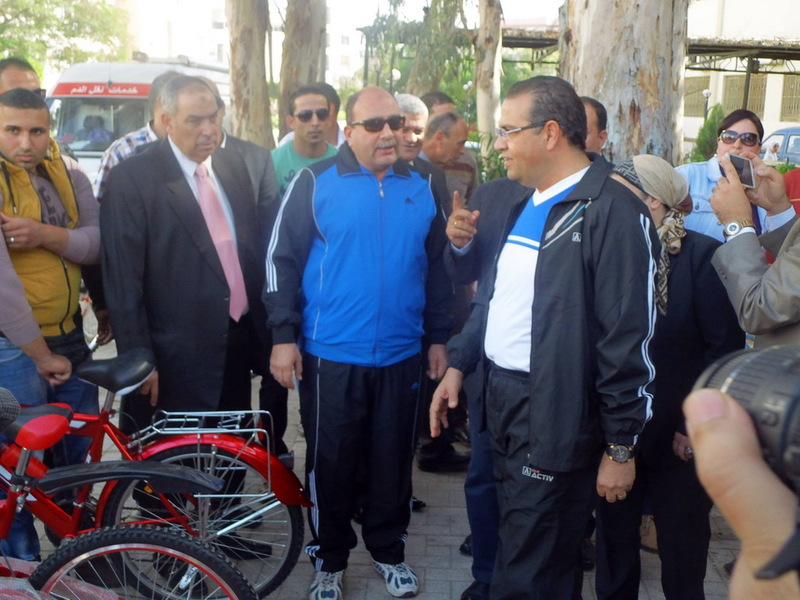 In this marathon, the University President, riding a bike and accompanied by some of the staff- members, attended the opening of a fair at the faculty of Dentistry and another one at the faculty of Law.